With the series premiere of Constantine hitting the airwaves tonight, plenty of fans are wondering just how hooked into the DC Comics (and Vertigo) Universe the show will actually be. We've seen Doctor Fate's helmet and the Ibistick in the trailer, along with Pandora's box. Some of our readers even told us they've seen the Medusa Mask of the DC Comics villain Psycho-Pirate (we didn't see it, but that doesn't necessarily mean it isn't there). There's also a voice mail message out there on the Internet (you can listen at the link at the bottom of our story), in which series star Matt Ryan name-drops Alec Holland, the man who would be Swamp Thing. 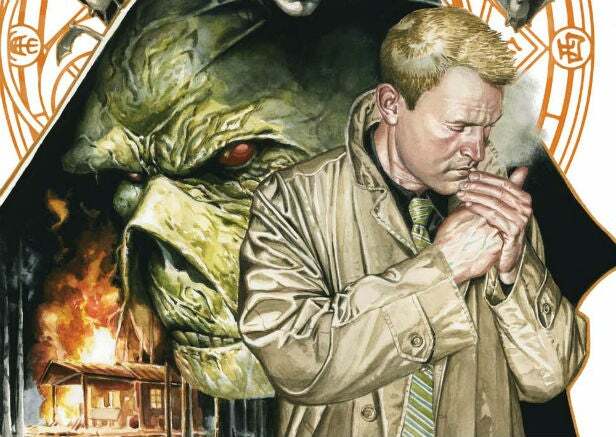 And that's where producer Daniel Cerone comes in, telling Collider today that they're adapting a lot of elements from John Constantine's orignal Swamp Thing stories into the show's first season, to the best of their ability in the context of a series that revolves around Constantine, who was a supporting player in those stories, rather than Swamp Thing, who was the lead in them. "The beauty of developing a comic book like Constantine, that’s been in publication, in some form, for 30 years, is that there’s such a wealth of material," Cerone said. "We definitely know what we’re doing this season, we know what our ending is, we know what we’re building toward, and we have a sense of what we’re doing for the second season and what we’d like our second season arc to be. Our first season arc actually comes straight from the comic books. 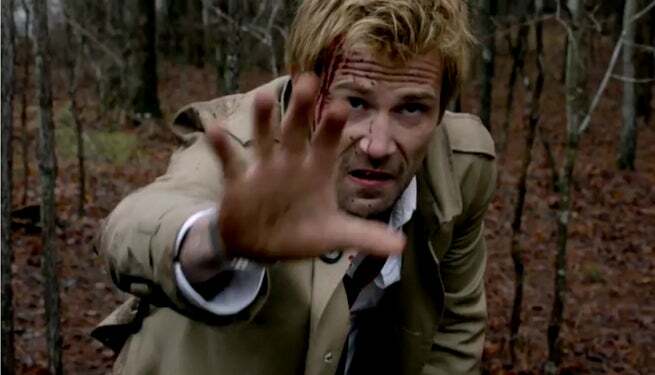 Constantine was introduced in Swamp Thing. If you listen to a lot of the language of what they’re talking about, with the rising darkness and some force out there that’s planning a terrible event and is trying to flush supernatural entities out of the darkness and into the light, when Constantine showed up in Swamp Thing, he actually showed up as a character who always ushers someone along. Constantine showed up to help facilitate Swamp Thing. Swamp Thing was the one, at the end of that story, who ended up fighting the darkness. In our story, we’re using the same coming darkness, but Constantine is going to be the one who’s fighting it. So, we’re dipping very heavily into the mythology for the series. The Newcastle seance, where he lost the soul of the little girl, is something we want to revisit in our finale this season. As the season builds, we want to get to a point where, to stop this coming darkness, Constantine has to reconstitute the Newcastle seance, and he’ll end up bringing back all the players who were originally in that seance." Constantine premieres tonight at 10 p.m. ET/PT on NBC. You can hear the MP3 of his answering machine message here.